Just when you thought that blogging is nothing but attending events, dressing crazy clothes, traveling to only-God-knows-where, or just eating til you drop literally, the world-renowned entertainment and pop culture TV channel, E!, gathered Manila’s hottest and most influential online personalities, bloggers and vloggers alike to a night of good music, stunning red carpet show and sumptuous dinner – hell yeah, I’m at the E! Bloggers Ball 2017! 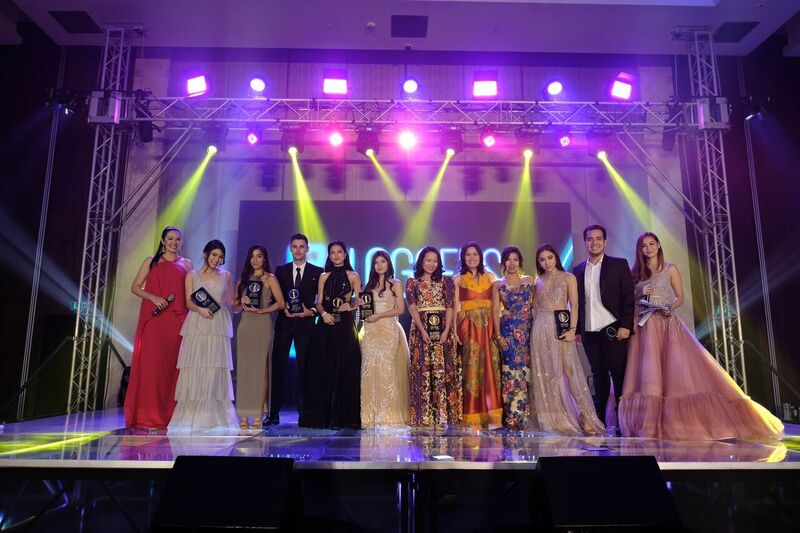 Last September 16 at City Of Dream’s Grand Ballroom, hundreds of Philippines’ young, inspiring and influential bloggers enjoyed a night of glitz and glam surrounded by neon light as E! held its second E! Bloggers Ball. Definitely a night to remember, I’ve been attending events since 2005 for my online activities, and this is so far the only bloggers event that I’ve been to that everyone took time to dress up and look really, really nice. Though I must admit that I’m as influential as the other who were here, I must say that I had a great time seeing familiar faces, most specially those personalities that I really followed online. I’m a bit shy to ask them to have a picture with me, so I ended up having myself on all of the pictures that I took that night. The generosity of E! to the bloggers is one that I appreciated that night. The whole place was so grand and all that comes with the program, was spot on! We have a DJ, a bar, a photo booth, and even a 360-selfie, which is making waves now to different events because of it’s “Hollywoodish effect. The night also honored some of the bloggers, including Jennica Sanchez (Look Who’s Trending-Female), Wil Dasovich (Look Who’s Trending-Male), Nina Nuguid (Breakthrough Blogger-Female), Dee Gee Razon (Breakthrough Blogger-Male), The Soshal Network’s Vivian Tan, Faye Condez and Camille Buhain (Blogger Groupie), Janina Vela (Blogger Icon of the Year-Fashion), Erwan Heussaff of The Fat Kid Inside (Blogger Icon of the Year-Food), and Yoshke Dimen and Vins Carlos of The Poor Traveler (Blogger Icon of the Year-Travel). E! also awarde Kim Cruz as Best Dressed Female of the Night and Daniel Marsh as Bes Dressed Male of the Night. I couldn’t asked for more that night. It was indeed one of the best events that I’ve attended here in Manila. Everything was so perfect and I bet that everyone had a great time! Congratulations to all winner and congrats too, E! for making this grand event so successful! Until next E! Bloggers Ball!